China is experiencing a different variant on terrorism… or at least that is the official story being fed to the media there and abroad. A 22 year-old mentally disturbed man set off an IED at a kindergarten/nursery in Xuzhou, China. Nine were killed including the suicide bomber. At least 65 were wounded. Four are in critical condition. Authorities claimed that no children or teachers were hurt in the blast that may have also involved canisters. But there was children and adult clothing in pools of blood at the gate, so I find that claim highly suspect. China claims there have been a number of attacks by disgruntled workers targeting nurseries and other schools and killing and wounding scores of children. That may be the case, but it doesn’t make sense. I’m not sure, but I think that the government hires and pays the school personnel there. I suppose it could be over pay or something else, but most teachers teach because they love children. Not because they are anger cases and don’t mind killing them. 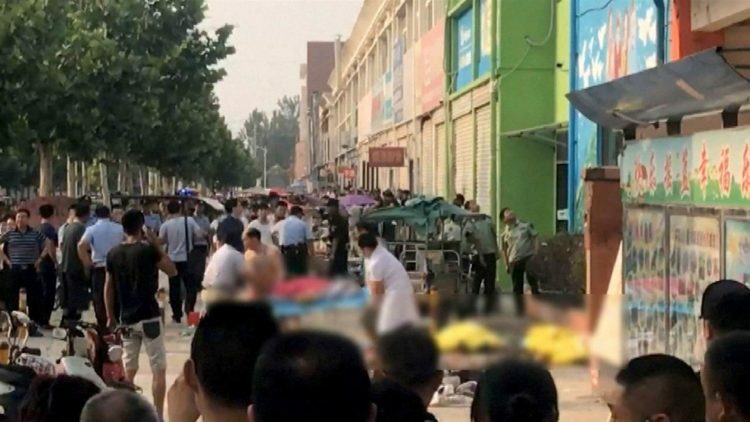 A 22-year-old man detonated an improvised explosive device (IED), or homemade bomb, at a nursery in the eastern Chinese city of Xuzhou, killing nine, including the assailant, and injuring about 65 others. “Local officials revised the death toll from seven to eight late on Thursday, saying that two people died at the scene, and another six died later in hospital,” reports the Telegraph. The news outlet notes that the incident is the latest in a spate of attacks mainly carried out by disgruntled workers targeting nurseries and other schools and killing and wounding scores of children. Citing a police count, National Public Radio (NPR) adds that up to 65 people injured, including four in critical condition. The explosion occurred Thursday afternoon in eastern China’s Xuzhou, Jiangsu province. “Most attacks in China – where gun controls are strict – are carried out by assailants using knives or homemade explosives,” acknowledges the Telegraph. Remember, this is communist China and many times things are not what they seem there. They claim to have no Islamic extremist threat in China, but that is not true. They do have terrorist attacks there… they are just very good at covering them up. Since gun control is very heavy in China, most attacks are done with bombs or knives. Or anything they can get their hands on. 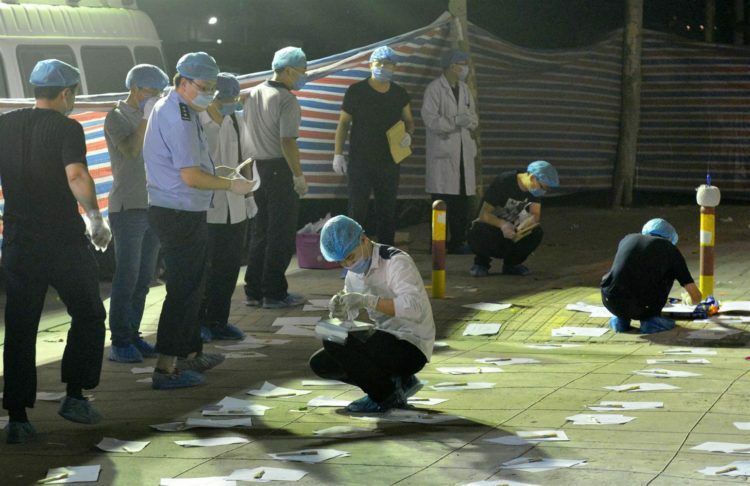 Through the DNA evidence, Chinese authorities have identified the suspect as surnamed Xu. He detonated the IED at the building’s front gate. “They [local police] also said the man had dropped out of school because of an autonomic nervous system disorder. Symptoms include depression, anxiety, dizziness and problems with basic bodily functions,” points out the Telegraph. Mental illness is always blamed in cases like this. Who knows? Police discovered the words “death,” “kill,” and “extinct” carved on the walls of Xu’s house. No motive is know at this time. In the wake of this attack, the Chinese government has raised the security alert at all schools. Just horrific.